RegisterÂ Before Deadline - Get 5% relaxation. Register More than 2 Papers - Each paper get 5% relaxation. Refer another paper - Each paper you get 5% relaxation. Join as IOSRD Member - Get 10% relaxation. New Trends 2018 Conferences provides a perfect platform for scientists, engineers, and students from all over the world to meet and to discuss New Trends which is going to change the world, on a broad range of subjects. 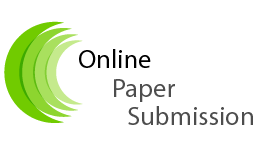 Submit your Research or Review Paper Here!